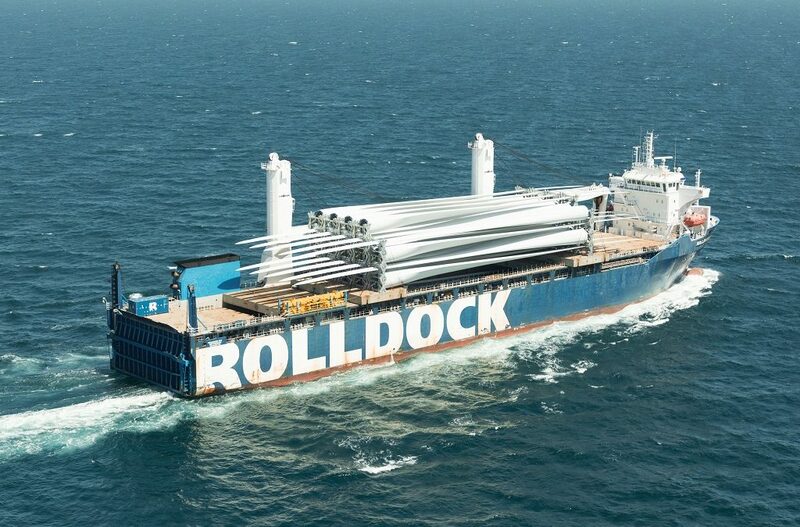 The RollDock Sea and the RollDock Sky recently finished to discharge no less than 72 windmill blades of 70 meters length, following two uneventful trips from El Ferrol (Spain) to Pitea (Sweden). The blades were stored in frames three layers high on the vessel’s tanktop. On the hatch covers, five more layers were placed. What made these shipments special though was the fly deck constructed from the vessel’s hatch cover pontoons – this allowed the vessel to stow the blades five rows wide. Smart engineering solutions resulting in a per blade costs saving for Roll Group’s clients.